We’ve been waiting soooo very patiently and the time has finally arrived!!! Downton Abbey starts in a few hours. 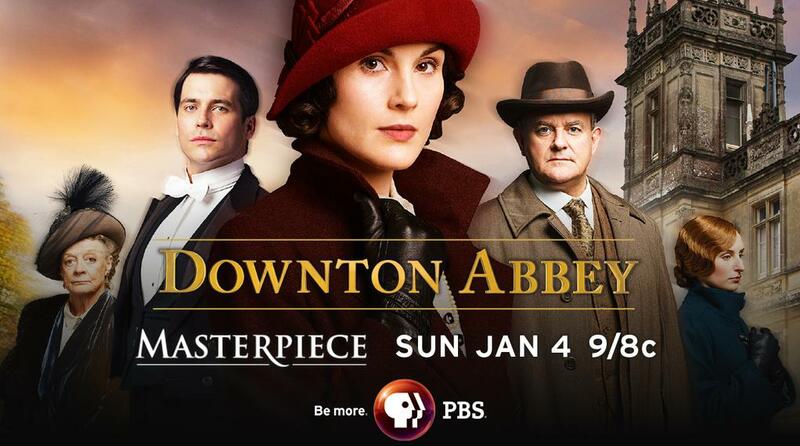 Follow along as I live tweet (@DowntonDame) all the excitement and zingers. Squeeeeeee!!!! I can hardly wait!!! Dan Stevens has been a busy boy since his Downton Abbey character Matthew Crawley died in a tragic car crash leaving us to mourn without him last year. He filmed The Fifth Estate this past year along with a star-studded cast, including PBS Masterpiece’s own Laura Linney. What would the U.S. viewers do without Laura Linney introducing Downton Abbey to us on Sunday nights??? 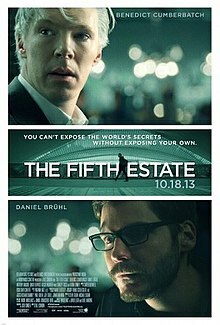 The Fifth Estate is a DreamWorks Pictures film directed by Bill Condon and starring Benedict Cumberbatch, Daniel Bruhl, Anthony Mackie, David Thewlis, Alicia Vikander, Peter Capaldi, Carice van Houten, Dan Stevens, Stanley Tucci and Laura Linney. 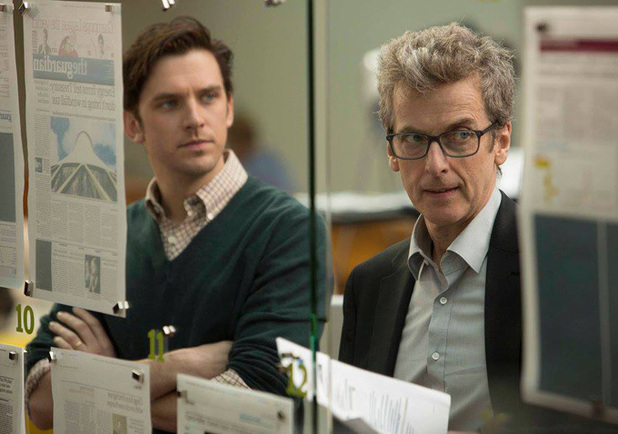 Stevens (picture above with Peter Capaldi) will play Ian Katz who is a South-African born British journalist who was the deputy editor of The Guardian. In May 2013 it was announced that Katz was to become the new editor of the BBC Two current affairs program Newsnight. DreamWorks just released the official movie poster for the film which is opening on October 18, 2013. Check out the trailer – sadly, Dan Stevens doesn’t appear in it.